Welcome our New Executive Chef at LeCroissant! Home > LeCroissant Team > Welcome our New Executive Chef at LeCroissant! 17 Nov Welcome our New Executive Chef at LeCroissant! 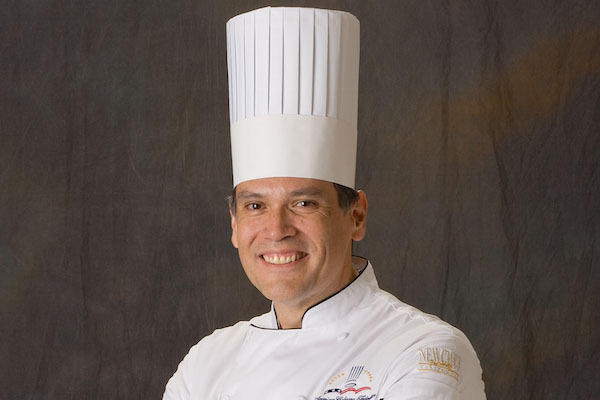 Today is an exciting day as our new Executive Chef, Don Sanchez, joins the Lux Catering and Events team! 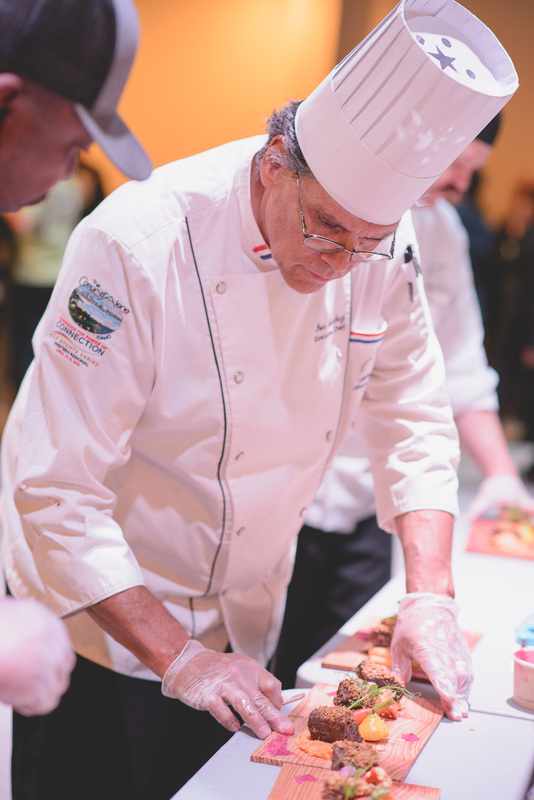 Chef Don made his start in culinary arts when he attended culinary school in the Netherlands where he was trained in the classic French style of cooking. He continued his experience in Holland working at Kasteel Doorwerth and De Kromme Dissel – both Michelin Star award winning restaurants! 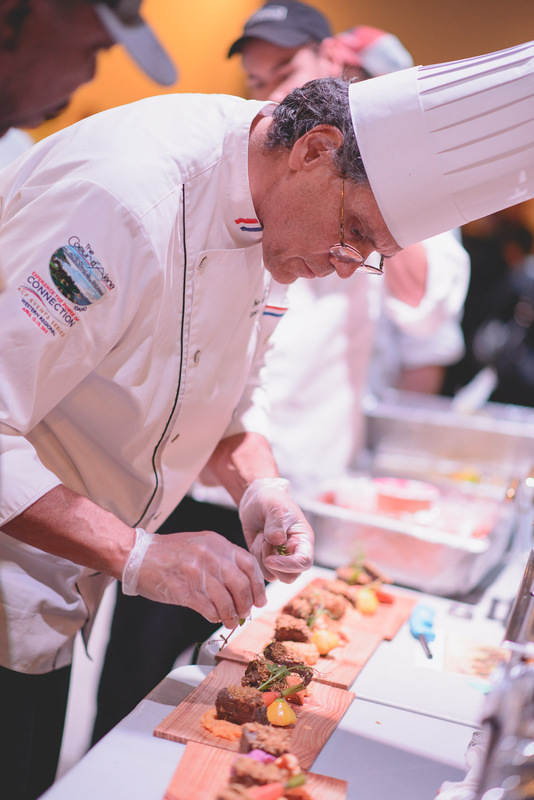 Chef Don returned to the states and for the past 25 years, has worked at the Joseph Smith Memorial Building as their Corporate Executive Chef. His responsibilities included overseeing a robust and dedicated team of over 200 staff for the banquets and catering departments as well as The Lion House, The Roof and The Garden restaurants. He has written and executed hundreds of incredible menus for royalty, VIPs, and many other dignitaries, as well as the day in and day out menus for all of the departments in the company. If the last name didn’t tip you off, Chef Don is related to our Director of Catering & Events, Chris Sanchez. It was by way of his father that Chris got his start in the catering and event design world, working in the kitchen and banquet halls under his dad at the Joseph Smith Memorial Building. After Chris joined the team at LeCroissant, Don kept an interested eye at the growth and continuing innovation of the company. For years, our Director of Catering & Events has tried to persuade his father to join and it was following an amazing event in October that finally Don could no longer pass up the offer! It was at this important state event that Don lent a hand in orchestrating our back of house. Don was so impressed with our teamwork, organization and the level of quality of our food that he says he knew he “wanted to be involved with the exciting growth and creativity [we] have been exhibiting the last few years”. It is this growth and level of creativity that Don finds most exciting about his move. Because he was classically trained, he has a deep belief in the tradition of classic French cooking. He believes “the classics are coming back and are stronger than ever”. He is excited to bring his classical training background and meld that authenticity with the passion that comes from creating innovative tastes and flavors. He is also looking forward to interlacing into a strong team. “A strong team is just as important as the food going out to the guest. We are only as strong as the weakest team member” and he looks forward to strengthening and enforcing the team he found so impressive at the event in October. Don believes his passion is to take raw ingredients and reimagine them into something someone appreciates and finds delicious. When asked what his specialty is, he expressed a love of sauces. “A sauce is what finishes a meal and takes a lot of time and consideration to complete” a complex yet lovely meal. Chef Don says he is “excited for this new challenge; [for him] the new considerations of being an off-site caterer and how to continue to provide a menu that tastes just as good as it looks” while away from the kitchen. We are excited too Chef Don, for the knowledge we will gain by your years of experience and those that come with paving the trail of new experiences. 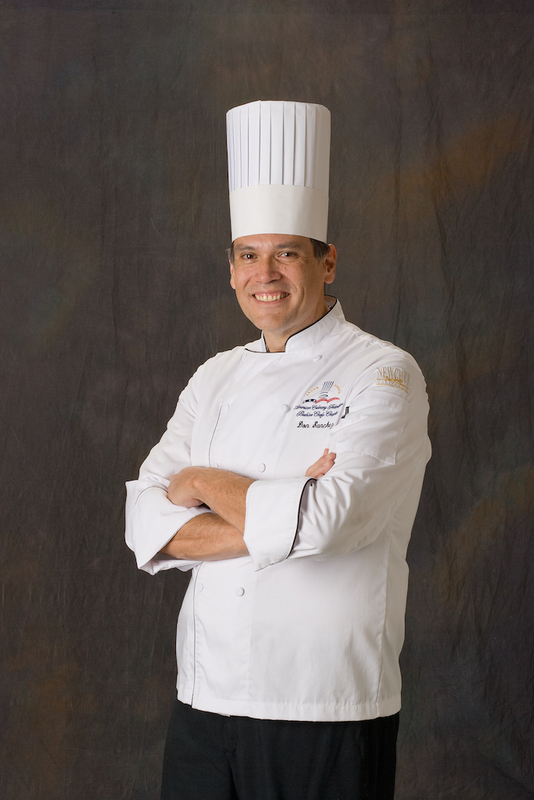 Everyone welcome Executive Chef Don Sanchez to the Lux Catering and Events team; we are so thrilled to have him join us!